More than 5 million Americans live with Alzheimer’s disease. Hearing loss is a sudden or gradual change in how well you can hear. Hearing loss is one of the most common conditions in older adults. As we get older, we are also more at risk for dementia or Alzheimer’s disease, compounding the issues from both conditions. Dementia is a condition that may include any or all of the following: memory loss, language problems, personality change, or thinking problems. The most common type of dementia is Alzheimer’s disease. Dementia symptoms generally increase over time. 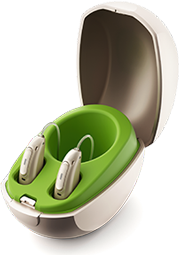 Although hearing aids will not prevent dementia, they will help to make listening easier by reducing your effort to hear! 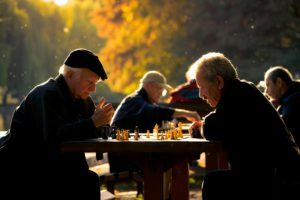 Unmanaged hearing loss can lead to withdrawing from social interactions, depression, and reduced self-efficacy which are all risks for cognitive decline. Audiologists identify, diagnose, and provide treatment options for patients with hearing loss and dizziness. An audiologist can work with you to find your hearing health solution. 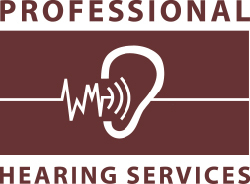 Do you think you or a family member may have hearing loss?